Damian McGinty (middle) with Celtic Thunder. MANY parents would have said no to the prospect of their 14-year-old son leaving Derry in Northern Ireland to tour America with four other substantially older male singers. Fortunately for Damian McGinty, his parents trusted him and how he was raised to go live his dream, and so in 2007 he became an original member of Celtic Thunder. “They didn’t hold me back and I’m grateful because it’s led to a lot of great stuff and I’ve enjoyed the last, nine, almost 10 years now,” McGinty said. 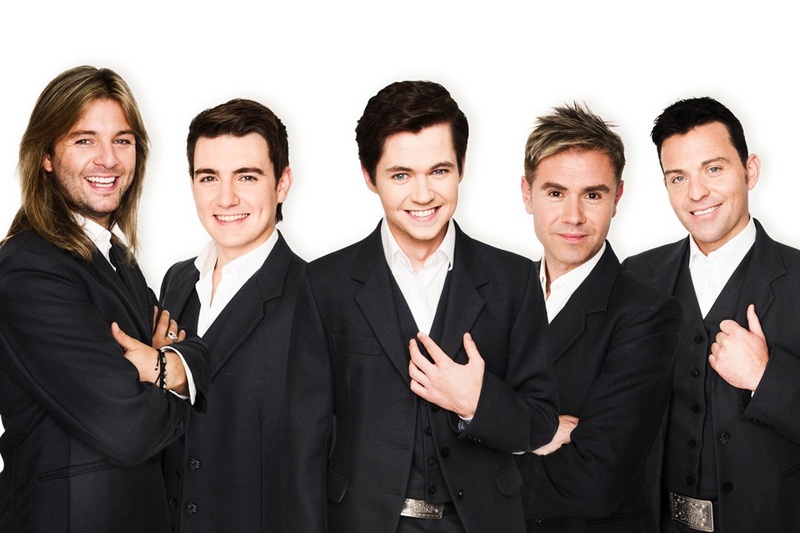 McGinty spent four years with Celtic Thunder while the performers made a name for themselves bringing a new twist to an eclectic repertoire of Irish and folk music, adult contemporary, rock and classical crossovers. He left in 2001 after winning reality television show The Glee Project, the prize granting him almost three years playing the character Rory Flanagan on Glee. “Initially I heard ‘reality show’ and thought ‘no way’ because I’d just spent the past four years building a professional profile for myself in Celtic Thunder and wasn’t going to throw that away for a reality show,” McGinty said. Now based in LA, McGinty will rejoin Celtic Thunder as special guest for the Australian Legacy tour, his first trip to our shores. “It sort of felt like the right time for me to come back; it felt unfinished and still a part of me,” he said. “We pride ourselves on the show being more than just about the music, it’s an experience. “We’ve got some new material we haven’t done before and it’s not a Celtic Thunder show without Ireland’s Call or Caledonia. “Legacy is what we believe Celtic Thunder has been about for the past nine years, an homage to the Celtic land we’re from, whether is be Ireland, Scotland, Wales, wherever. Community Newspaper Group has five double passes, plus a CD, to give away to Celtic Thunder on May 7. Enter here by April 25.